LMS implementation is one of the most taxing aspects of an online learning initiative. Researching and choosing a learning management system that is right for your company almost looks easy in comparison. But you can greatly reduce the stress, time, and effort involved in your LMS implementation by taking these steps to prepare. 1) Choose specific team members to facilitate the migration -- Implementing an LMS is a big job that requires the support of a team of employees chosen to fill specific roles. These team members will supervise the administration of the LMS, provide technical support, manage the new system’s content and provide input on the system’s branding. Have your team get a feel for the new system through an LMS demo to get them started. 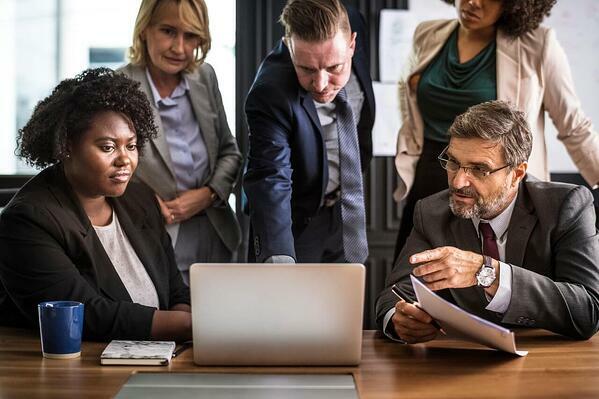 2) Create an LMS implementation strategy -- The same team members who guide the LMS migration should also be involved in creating an LMS implementation strategy. This strategy should contain implementation objectives, an implementation checklist and a timeline with a definite deadline. To help determine your timeline, create an implementation checklist. LearnUpon suggests including portal structure, branding, white-labeling, courses, users and integrations.² Your checklist will help you determine a realistic timeline. 3) Perform an audit -- To determine what data should be in your new eLearning system and what shouldn’t, perform an audit of your current system. After all, what good is a perfectly implemented eLearning system with ineffective, outdated content? Other types of LMS data, such as user demographic data, should be audited and cleaned up in preparation for the new system. For example, eliminate duplicate records and consider removing inactive users after a certain amount of time. 4) Research the upcoming integration process -- Understanding how your new LMS will integrate with existing performance tools is an important part of LMS software implementation readiness. Determining what current applications and tools must connect to a new LMS will prevent you from being blindsided by a difficult integration process and help you strategize about how to integrate the new system with tools that currently support training and development. Preparing to implement an LMS can be both exciting and stressful. Make things easier for everyone involved by creating a migration team and an eLearning system implementation strategy, auditing your current LMS and sizing up the future integration process. Choosing a quality product as well as an LMS company that works with you to meet your needs also plays a major role in a successful learning management system implementation. eLearning Industry. 8 LMS implementation best practices. https://elearningindustry.com/lms-implementation-best-practices. LearnUpon. Master your LMS implementation with this checklist. https://www.learnupon.com/blog/master-lms-implementation-checklist/. eLearning Industry. 8 top tips to organize and audit your eLearning content database. https://elearningindustry.com/top-tips-organize-audit-elearning-content-database.